Bufflehead male is black above and white below with a gray bill. Females are brown above and gray below. Their heads are puffy (their name means cow-head) yet they are one of the smallest ducks in North America. Their bill is tiny and their form is chunky and they are not known to breed until 2 years old. They nest in holes located in trees and do not use any materials. 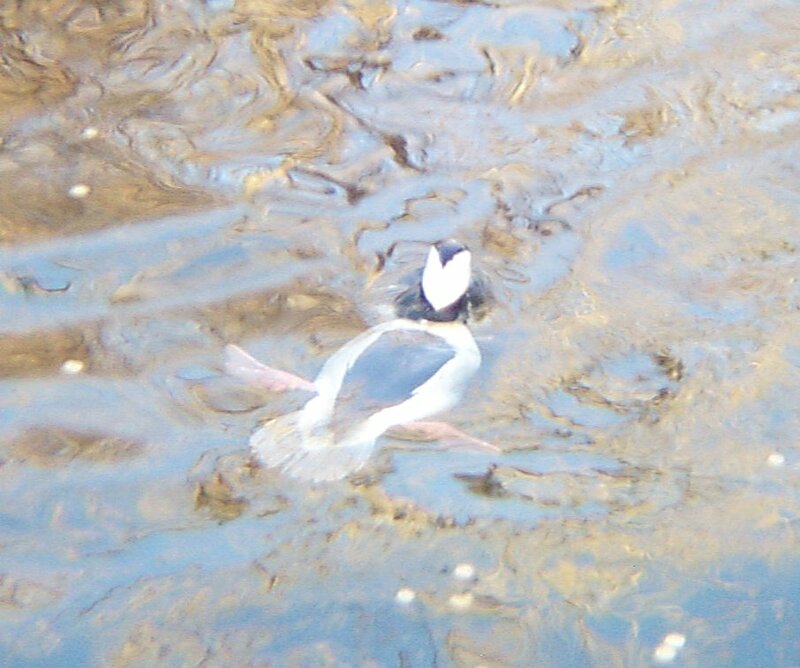 Bufflehead demonstrate a propensity to return to the same nesting holes every year. Bufflehead are one of the best known divers and can take off from the water without running along the surface, unlike other diving ducks. 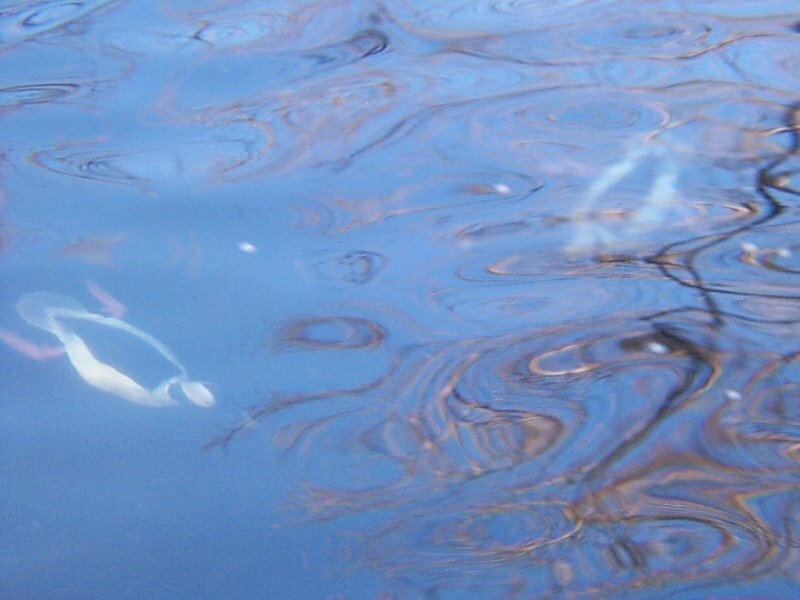 They usually are in motion flying about and diving frequently. 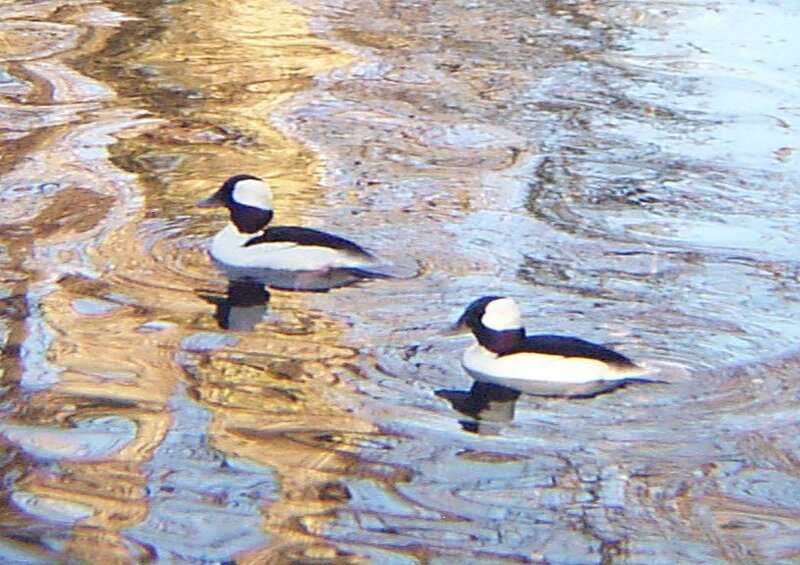 The male Bufflehead utters a squeaky whistle while the female has a harsh quack. The Bufflehead diving ducks at the Fort Worth Zoo are very busy divers. They are constantly swimming and diving. They like to dive in groups and then dive under and remain their for quite a while. (It seemed like a long time). The ducks I guess like to have fun and hang with their buddies. The ducks make whirling sound with their wings and sounds similar to that of an insect. 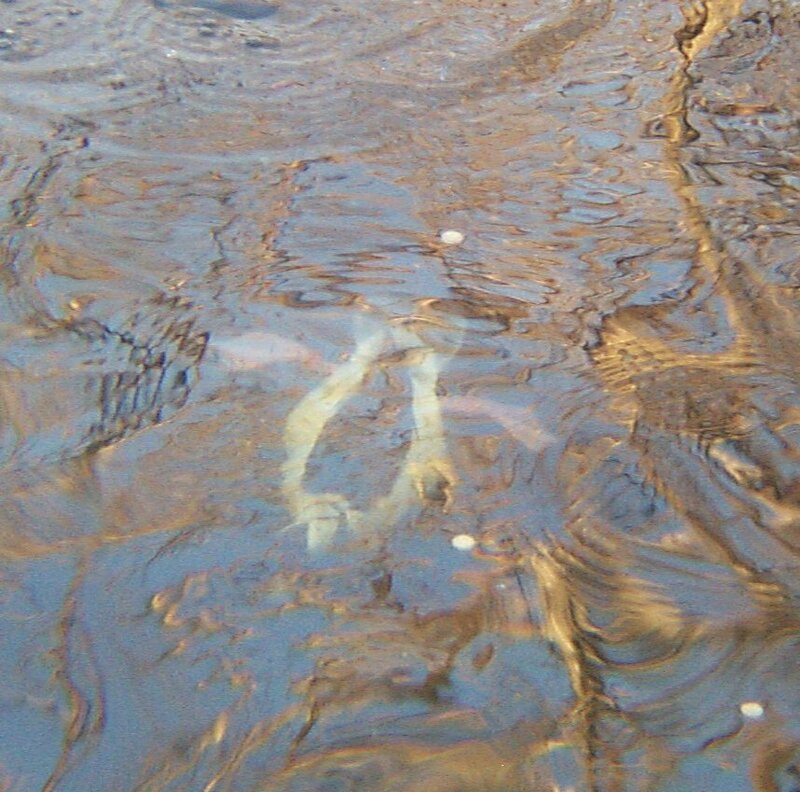 Diving ducks under water and emerging to the surface. While at the zoo I noticed that these ducks have lots of grooming on their mind. They preen their feathers. One duck I noticed serves as a spotter to the other diving ducks and keeps watch over the usual 3-4 that dive.